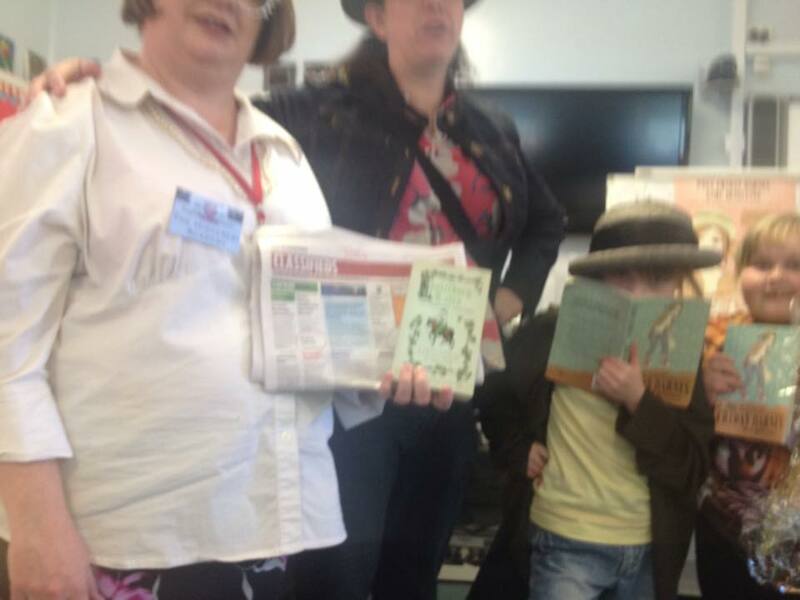 When I visited Wingello Public School last week I wanted a photo with my friend Katherine because she had dressed up as Mrs Cannon complete with props – job ads and a copy of Chaucer. Her daughter had dressed up as Friday Barnes as well. There were no other grown-ups in the room so we had to get one of the kids to take a photo. To protect our identities he chopped our heads off and captured us in soft focus.